The Bahraini refugee, who plays semi-professionally for Melbourne’s Pascoe Vale Football Club, was released on Monday night after spending more than two months in detention. Dozens of supporters and friends were gathered at Melbourne Airport to greet Mr al-Araibi after his flight touched down at the airport about 12:30pm. 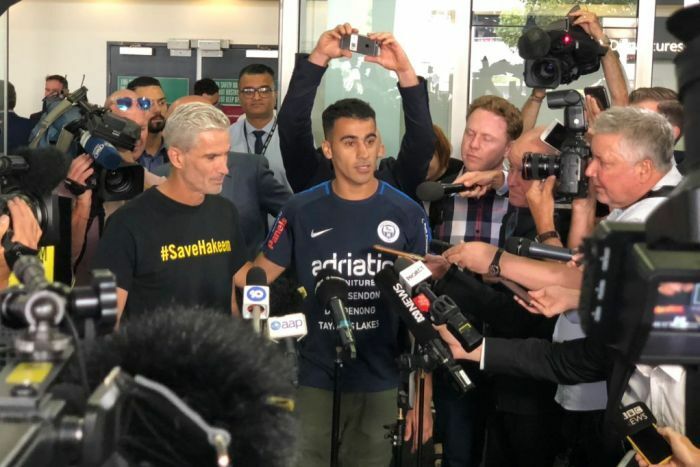 Mr al-Araibi was greeted with cheers and singing when he walked from the arrivals area at Melbourne Airport, where he spoke to waiting media and supporters. “I would just thank Australia, it’s amazing to see all the people here, all of Australia, the media who have supported me,” Mr al-Araibi said. “I will be more strong for this country, I will be strong here just for Australia. The crowd shouted “welcome home Hakeem” as he was surrounded by supported, friends and family. 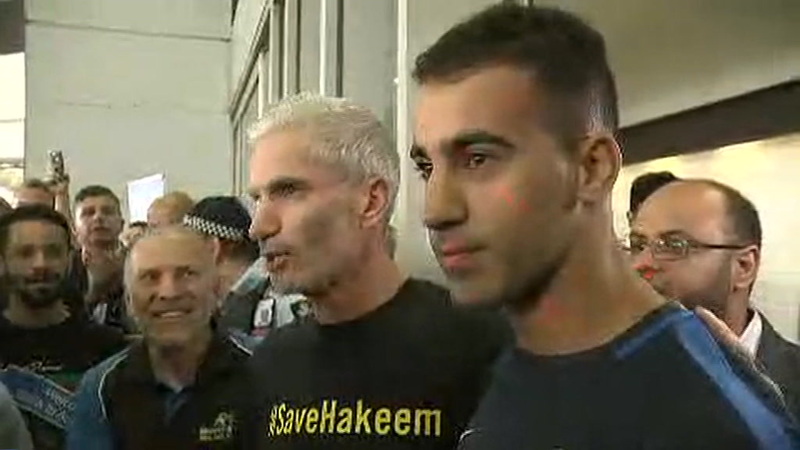 Mr al-Araibi was joined by former Socceroo Craig Foster, who spearheaded a media campaign for his release. “This is the man, probably the most famous young man in Australia right now, a courageous young man, a human rights defender … we’re so proud for all of Australia to have fought so hard to bring back home,” Mr Foster said. Thai prosecutors on Monday submitted a court request to withdraw the case to extradite Mr al-Araibi to Bahrain, where he faces a 10-year prison sentence for an arson attack that damaged a police station. He has denied those charges and said the case was politically motivated. It was still unclear exactly when or why the Thai Government decided to free him, however, it was understood Bahrain agreed to drop extradition proceedings against him after talks between Bahrain’s Crown Prince Salman bin Hamad Al Khalifa and the Thai Foreign Minister over the weekend. 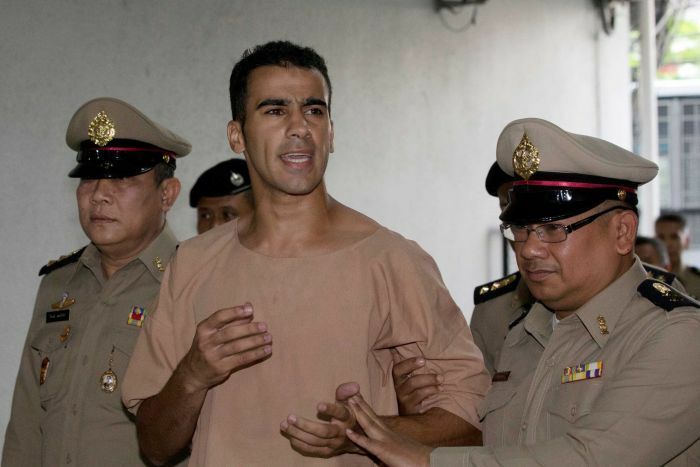 Thailand has come under great international pressure, from Australia, the football community and human rights groups, to send Mr al-Araibi back to Australia. He was among the last to board a Thai Airways flight just after midnight (local time) with the assistance of immigration police who patrolled the departure gate until he was on board. Mr al-Araibi’s wife issued a statement thanking people for the support that had been offered to her husband. “My heart is now full with gratitude. These tears are falling out of relief and joy,” she said. Officials in Bahrain have said the country, “reaffirms its right to pursue all necessary legal actions against” Mr al-Araibi. “[The] guilty verdict against Mr al-Araibi remains in place and Mr al-Araibi holds the right to appeal this court verdict” in Bahrain’s Court of Appeals, Bahrain’s Foreign Ministry said in a statement after his release. A Bahraini court had sentenced him in absentia over claims by Bahraini authorities that he and a group of protesters attacked a police station with petrol bombs during the Arab Spring uprising. He was eventually made it to Australia, where he was granted refugee status and now plays in the National Premier League Victoria. The Prime Minister Scott Morrison has welcomed Mr al-Araibi’s release, and thanked the Thai Government. “We greatly respect the process that they have had to work through and we greatly appreciate their listening to the issues that have been raised by our Government and many others,” Mr Morrison said. Mr Foster led a campaign in the international football community calling for Mr al-Araibi’s release. He said Bahrain was destroying its own credibility by continuing to pursue the refugee. Mr al-Araibi alleged his criticism of Bahrain royal family member and Asian Football Confederation president Sheikh Salman was one of the reasons he was being persecuted. “The credibility of the Bahrain legal system and this concept that they have of rule of law has been completely discredited,” Mr Foster said. “Hakeem was and is an innocent man and it’s going to be wonderful to see him now make a contribution to our country because the values, the conduct and the courage he’s shown is really quite extraordinary. “There are massive themes here around refugee, international law, our own policies, around sport governance. 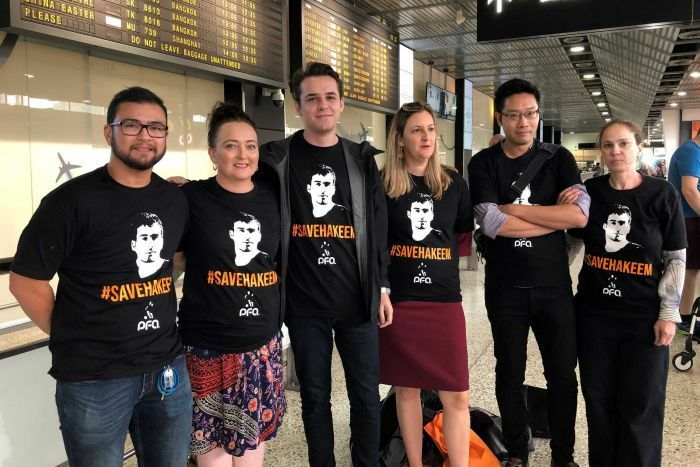 “The next stage of this campaign is to start to clean up some of the sports governance that played a role in bringing this about and that ultimately put Hakeem in jail back in 2012 and saw him tortured.